Originally published in Automobile Magazine here. 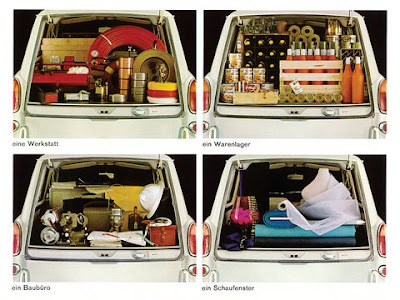 By the middle 1960s, it was clear that Volkswagen's iconoclastic "Think Small" campaign on behalf of the lowly Beetle had succeeded in transforming that Third Reich relicinto a revered totem of American individuality. Back home in Germany, though, the novelty had worn off, and consumers were getting weary with the predictability of VW's offerings. Anticipating Beetle ennui, VW launched the Type 3 in 1961. (Type 1s were Beetles and Karmann-Ghias; the Type 2 was the Microbus/Transporter). Intended to provide a more upscale choice to upwardly mobile Europeans, the new Type 3 looked like a huge departure but was really a clever variation on the original theme. 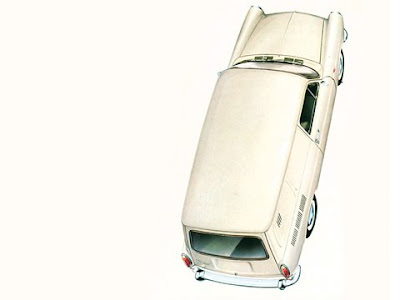 Built on the Beetle's 94.5-inch wheelbase, the new car retained its forebear's air-cooled rear-engine layout, but there were notable differences. The cooling system was revised, and the opposed four, initially displacing 1500 cc and growing to 1600 cc, was only fifteen inches tall. 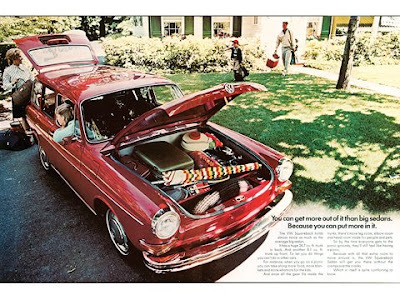 This allowed for both front and rear trunks in the notchback and fastback sedans and a flat floor in the cargo bay of the Variant station wagon, known as the Squareback upon its delayed U.S. debut. The Type 3 might have remained a well-kept European secret if not for American servicemen, who bought the cars in Europe and shipped them back home, priming the U.S. market. 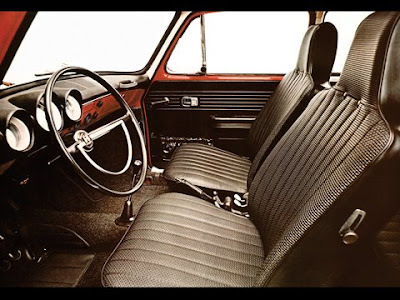 It wasn't until the 1966 model year that Volkswagen of America offered the new car in both Fastback and Squareback configurations (the notchback was left dockside). With two passenger doors and a one-piece rear hatch, the Squareback - VW's iteration of the 1955-57 Chevrolet Nomad - offered practicality and modern style that was absent in the mid-'30s-designed Beetle. VW fans who wanted to step up but weren't ready to commit to the lifestyle change of the Microbus were attracted to the wagon. 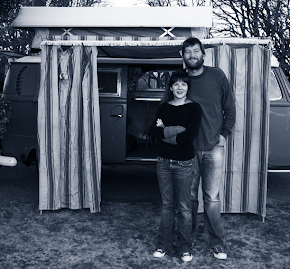 The Squareback offers today's Veedub devotee a happy alternative to Bugdom. Its clean and still fresh-looking body style sets it apart from the more common Beetle; unlike that car, the Squareback actually provides a modicum of comfort, performance, and interior volume. Thanks to a reworked front suspension plus more power (0 to 60 mph in less than 20 seconds! ), available electronic fuel injection (in its first production application), and an optional automatic transmission, it's more roadworthy and competent than many other forty-year-old cars. It's able to cruise at 80 mph, can get up to 30 mpg on the highway, and has 24 cubic feet of aft cargo capacity plus a front trunk that, in the longer-nose model introduced in 1970, can accommodate another 8 cubic feet. 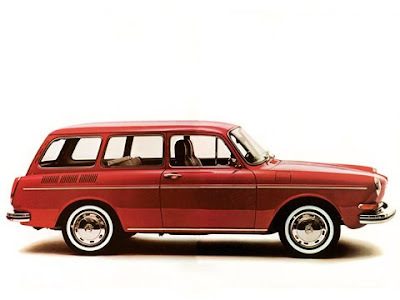 As VW's first real attempt at modernity, the cool car with the square name stands out as a breakthrough model that kicked off the brand's evolution into a full-line carmaker. You can find a prime example, fully restored and ready to go, for less than $8000. Less than half that amount buys a good runner with lots of potential, since parts are plentiful. Approximately 860,000 worldwide between 1961 and 1973. Rust in the inner and outer fenders, the jacking points, and the door sills. Also, cracked cylinder heads and overheating engines. by Joachim Kuch, Bentley Publishers, $30. A '68 or later with fuel injection, but we'll forgo the automatic, thanks. Sahara beige or Indian red are the right colors, but for a custom touch, two-toning can be tastefully done. "Less than [$4000] buys a good runner with lots of potential, since parts are plentiful." What planet did the writer live on? I had to laugh at that one. We thank you, and Gertrude thanks you for the shout-out. Anonymous - You get to NorCal, look us up! 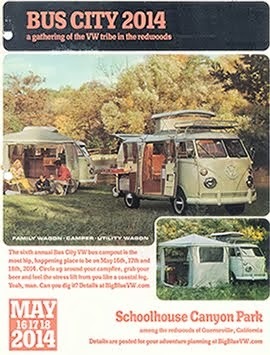 Would love to see the VW. I owned a 66 squareback (baby blue) when I was in high school. Her name was Vera because no matter how many times I had the alignment done, she'd "veer" to the right. What a great little car this was. I could pack about 6 kids in it to take to cross country meets. We looked like one of those clown cars with kids spilling out from every door. I loved that old car and was devistated when I sold her to a gal who a month later totalled her.